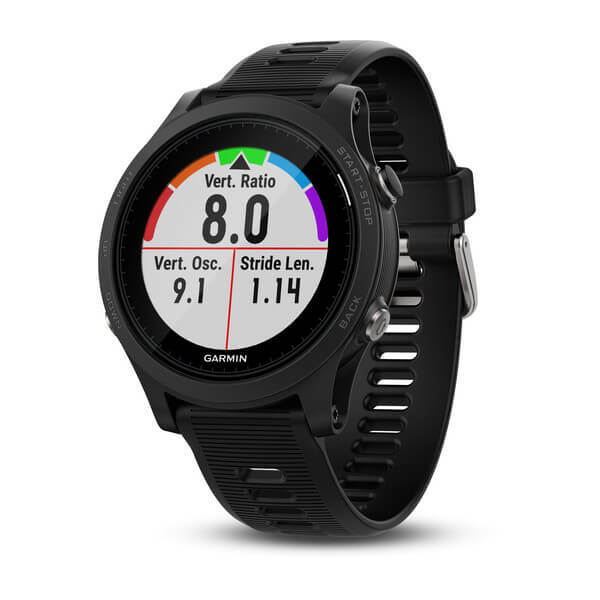 Garmin’s latest premium GPS running and triathlon watch! 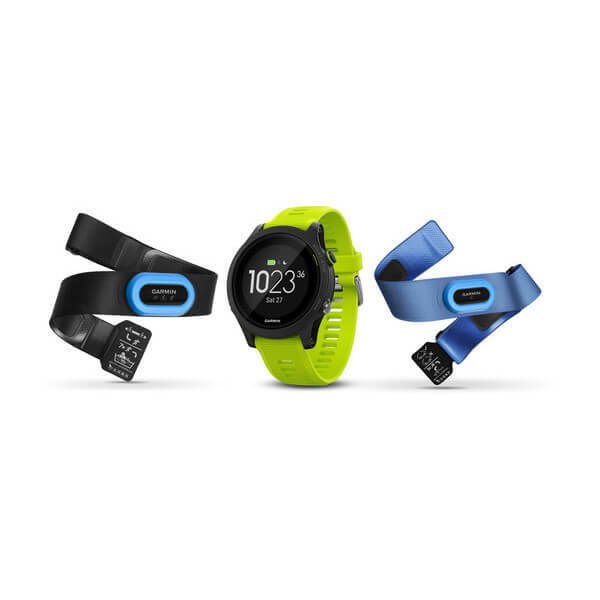 Meet the new Garmin Forerunner 935 GPS Watch! 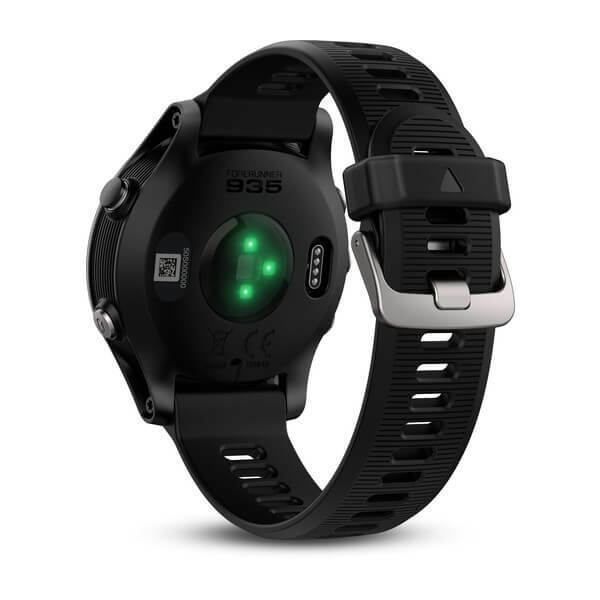 This premium GPS running and triathlon watch is new and improved, featuring advanced running and multisport features such as Wrist-based Heart Rate functionality, built-in barometer; altimeter and electronic compass, real-time performance monitoring features and more. The Forerunner 935 provides advanced dynamics for running, cycling and swimming and can go for up to 2 weeks in watch mode, up to 24 hours in GPS mode or up to 50 hours in UltraTrac mode. In addition, with its comfortable silicone band and weighing only 49 grams, you can wear it all day. Fits Your Wrist and Your Fashion Sense – Forerunner 935 GPS running/triathlon watch features a lightweight, comfortable design you’ll be happy to wear all day. Monitor Your Performance, Training and Recovery – Forerunner 935 will help you monitor your training and recovery so you can better prepare for a race or training cycle. Go Longer Between Charges – Outlast your longest workout with a battery you can rely on, even in the middle of an iron-distance triathlon or ultramarathon. Forerunner 935 features up to 24 hours of battery life in GPS mode and up to 50 hours in UltraTrac battery saver mode. 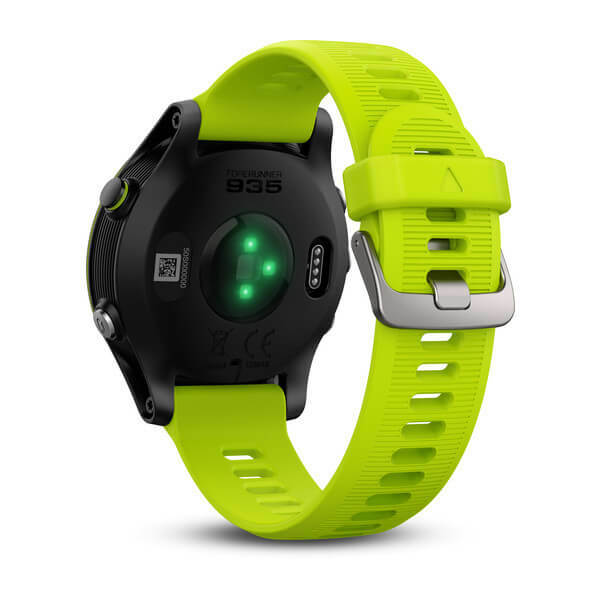 Run, Sprint, Swim, Bike, Tri – Forerunner 935 has built-in activity profiles for running, cycling, swimming, cross-country skiing, paddle sports, trail running, hiking, strength training and many more. Smarter Connections – Smart notifications delivered right to your wrist are just the beginning. When paired with your compatible smartphone, Forerunner 935 also gives you access to automatic uploads to Garmin Connect, audio prompts, music controls and more. Follow Your Heart – Wrist-based heart rate might be an easy choice when you want to move without restrictions on race day, but Forerunner 935 gives you the option to tap into much more data with the addition of a compatible heart rate strap. A chest strap heart rate monitor unlocks advanced features such as lactate threshold and the HRV (heart rate variability) stress test. On Your Game, Off the Grid – With Forerunner 935, you’re free to go wherever your activities take you — thanks to GPS and GLONASS coverage, which can track better in more challenging environments than GPS alone. From Plan to Performance with TrainingPeaks – There is nothing more satisfying than a workout performed to perfection. With the TrainingPeaks Connect IQ app, you can open your daily workout right on the Forerunner 935. It is incredibly light and thin, the batery is very durable, the layout is beautiful and there are many options to choose. We already used it for running, cycling and swimming and werked perfectly in all activities. Power Meter City was very fast answering all my questions and the shipping was really fast. Hi Nina. Glad you like it! I think other people feel the same way…we’re having a hard time keeping it in stock 🙂 Thank you for your business and please let us know if there is anything else we can do for you.